Brass front piece, Witherspoon Clock, etching "Evan Skeoch, Paisley." What’s amazing about the clock is not just its size, age, and beauty, but how much lore surrounds it—some of it misleading. When Swigart Associates, Inc., Insurance, of Huntington, Pennsylvania, first contacted the society in 1936 with the intention of selling the clock, it reported that the timepiece was not only brought to America by John Witherspoon, the only active clergyman to sign the Declaration of Independence, but was first owned by the imminent Scottish Reformer, John Knox. The Knox legend was not a new one. Many believed John Witherspoon was a descendent of John Knox—despite there being no primary documentation to support that claim. When the Presbyterian wrote about the clock in its January 1886 issue, it asserted that the clock and cabinet were originally built for Rev. Knox. Letters from Charles Reed of Swigart Associates supported this claim, stating that the 8-day clock with brass works and brass face in a solid mahogany cabinet was assembled in Paisley, Scotland, in 1560. Reed’s correspondence explained that he was representing someone who had to sell the clock because of “reduced circumstances, due to the past depression.” Thomas Pears, then manager of PHS, replied that the society was interested in acquiring the item. The problem was that the society had not really bought an artifact that had belonged to Rev. Knox. In 1975, the PHS newsletter Presbyerian Key ran a story claiming that the clock originally belonged to John Knox; that spring, the Key made a retraction, writing that “the article on the Witherspoon clock ... is a good example of enthusiasm for history overcoming a passion for accuracy.” The newsletter reported that a reader’s letters persuaded the staff to do further investigations, at which time it was discovered that the clock could not have been built before 1657, never mind in 1560. 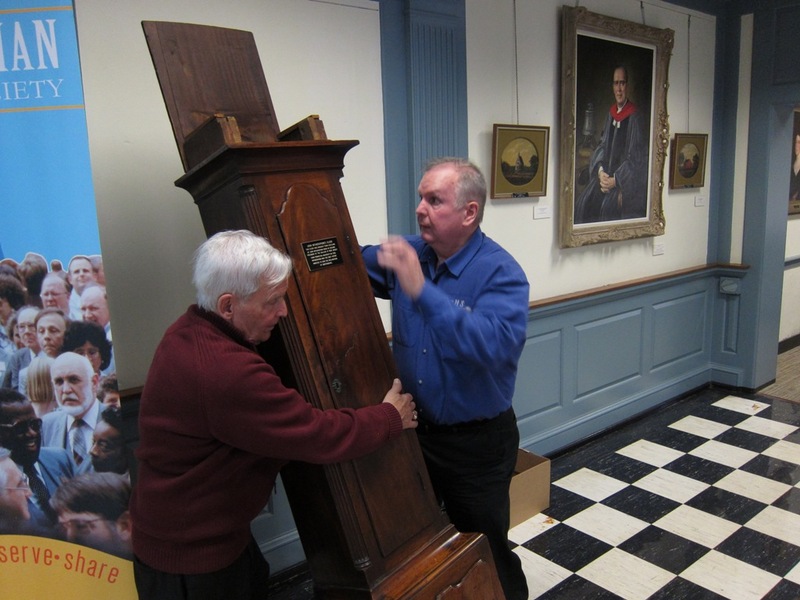 When Witherspoon became president of the College of New Jersey in 1768, he brought the clock to America. According to Mr. Fish, the clock case, lead weights, and pendulum were most likely built in America after Witherspoon’s arrival. Documents show that an inventory of Witherspoon’s possessions after his death lists one clock and case worth $36. When Witherspoon died, the clock came into the possession of his daughter Mary Ann (Marion or Marianne in some documents), who married Rev. James S. Woods of Lewiston, Pennsylvania. When Rev. Woods passed away, ownership of the clock transferred to his son, William Harris Woods, an attorney in Huntingdon, Pennsylvania. 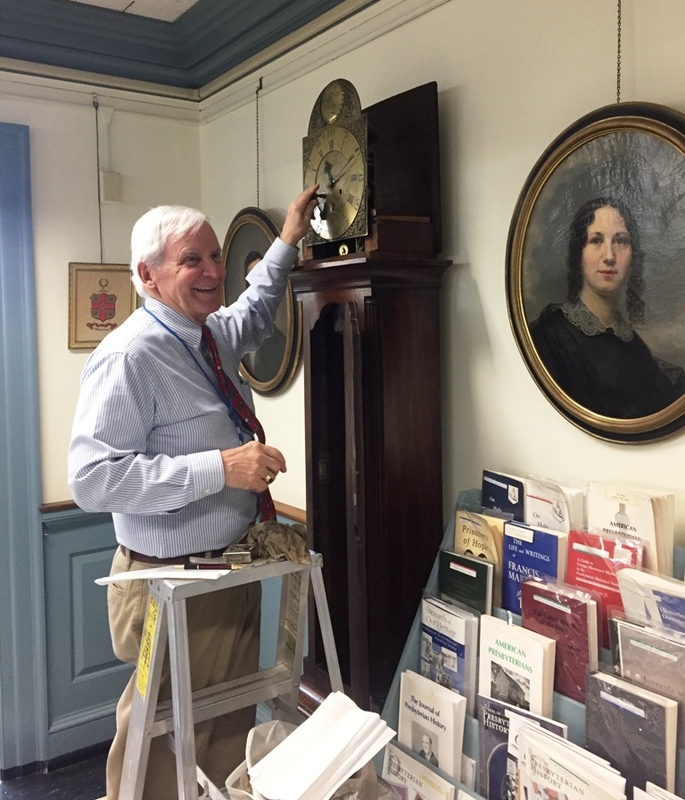 The clock was later inherited by Mr. Woods’ son, George Woods, who died in 1922. His wife, Lillian, sold the clock to the society. The Key ended its retraction with the words “we thank our correspondents again, and will probably issue a definitive up-date should it ever become available.” I could not find anything published in later editions of the Key, or in other society communications, about the clock’s first century. Hopefully this post makes good on that promise, and calls full time on the enticing but inaccurate Knox myth. 1 hour 55 min ago. Happy #EarthDay from the Presbyterian Historical Society! Here is an image of the very first Earth Day in 1970 that comes from our collection of Religious News Service photographs. 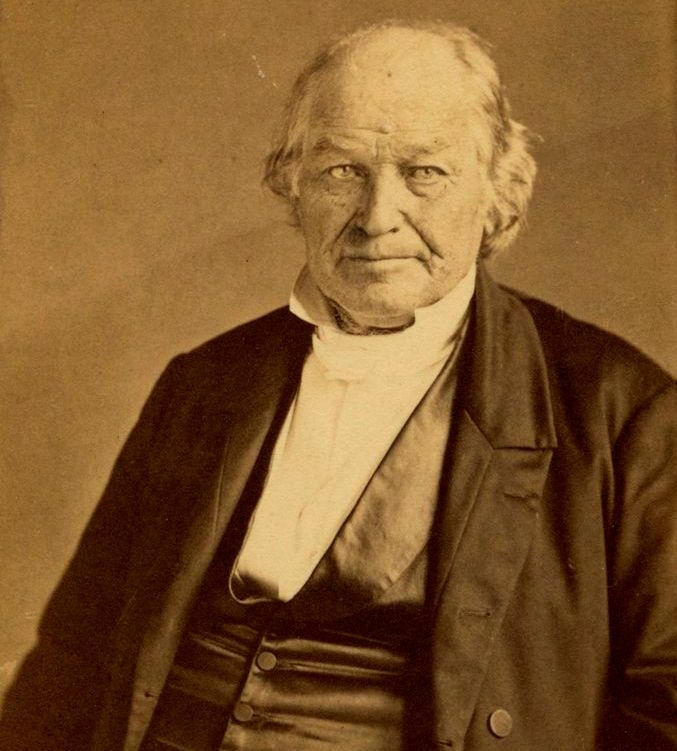 To view this image and read about the Presbyterian Church and it's involvement in environmental causes over the years, visit https://buff.ly/2GznHvN.